This instant groundnut poha porridge powder can be given after 8 months and is an ideal travel food. 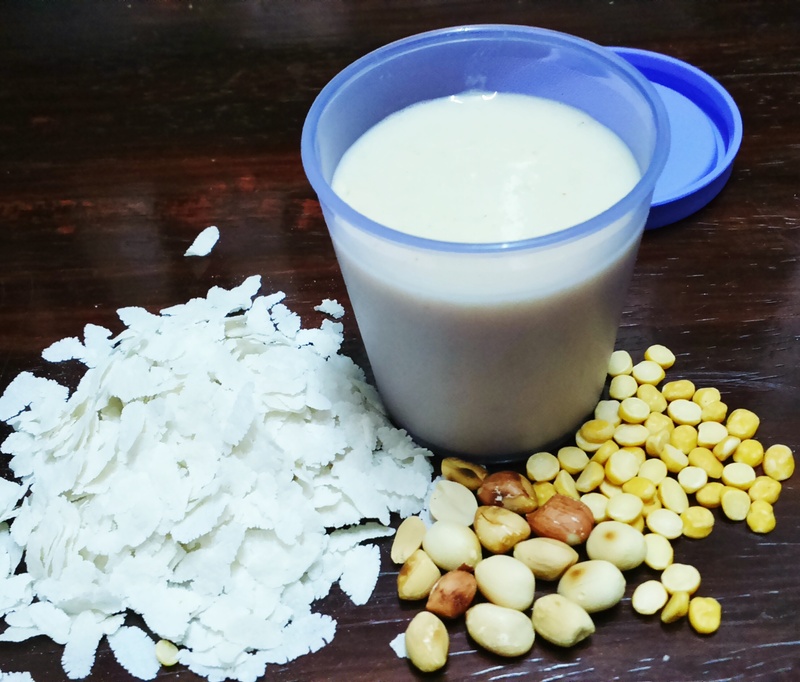 How to make Groundnut Poha Porridge Powder at Home? Poha (Rice Flakes) 100 g.
1. Roast Poha (roast them to a light brown but do not overburn them) and grind. 2. Grind roasted Groundnut (without skin) & Bengal gram ( chana dal ) separately. 3. Mix all thoroughly. Store in dry airtight container. Add hot water to a tablespoon of the powder when needed, fruit purees can be added for sweetness. This is one of the post for the Travel Series, do check out other articles on tips for travelling with kids, instant recipes for babies and toddlers, kids friendly travel destinations, kids travel accessories. Both Groundnut and poha are iron rich foods. Bengal gram means கொண்டைக் கடலை, When this specific gram is hulled and split it is called கடலை பருப்பு. It’s roasted chana dal dear. Can I add moong dal instead of chana dal? Is it ok to make it without any pulse? As there is no sunlight these days. It will get difficult to dry the pulse. Is there any other ingredient which won’t require to be washed? Please reply soon. Need to prepare an instant cerelac for travel this weekend. Can I add roasted moong dal in it?? Yes you can try that. Hi my baby is 7+ months old.Shall I use almond instead of groundnut. Yes dear you can do that. 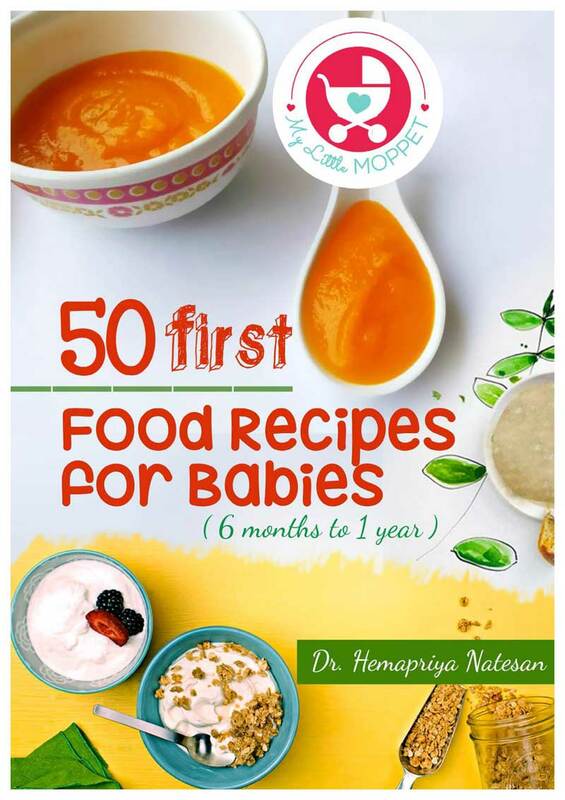 Thanks for easy to made recipes for infants. My baby is of 10 months old. I read it as Bengal gram in recipe and appears same in picture as well, but noticed your comment in one of the queries that’s it’s chana dal. I already made it with Bengal gram, not one but two recipes( poha and puffed rice) before noticing your comment. Can I still feed the baby those 2 recipes made with with bengals gram ? Yes, you can.  Especially if it is a family’s preferred option the baby will adapt. Give small quantities to allow baby time to adapt. My baby is 2 yrs old . Can I give this to her. As I prefer home made and nutrition food. Can we give it to 6 month baby ??? One doubt.. Is it Ok to start using ground nuts to 9 month old baby? We don’t have history of nuts allergies.. Thanks a lot. 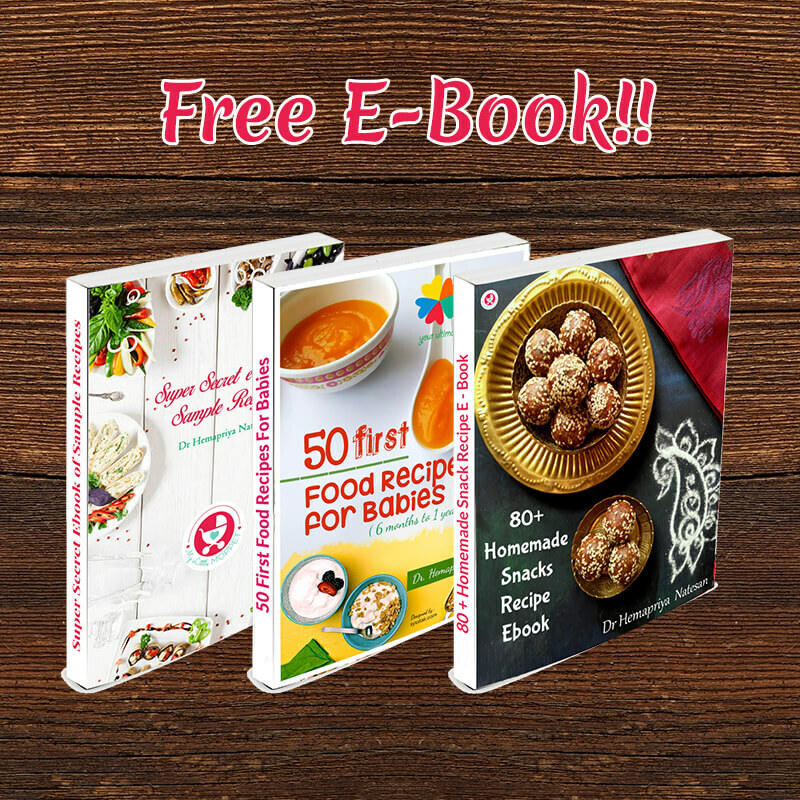 Wonderful recipes.helps a lot with all bz moms. Keep up the gr8 work. that is pottukadalai (Bengal gram) only Na? Small doubt, can this b given by just mixing with hot water.. Is it not necessary to cook?! Wonderful recipe, thanks a lot..every time I wonder what to carry for my little one during travel… easy and also health recipe. ?. here can we use red poha instead of white ? Will that come good? 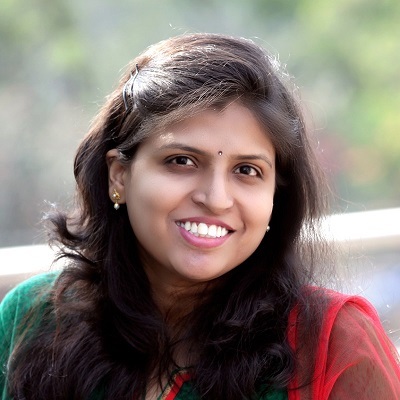 Great recipes Dr Mommy … Esp the instant porridge recipes .. very useful on travel.. Also , can you plz clarify , Is it chana dal or pottu kadalai in this recipe ?